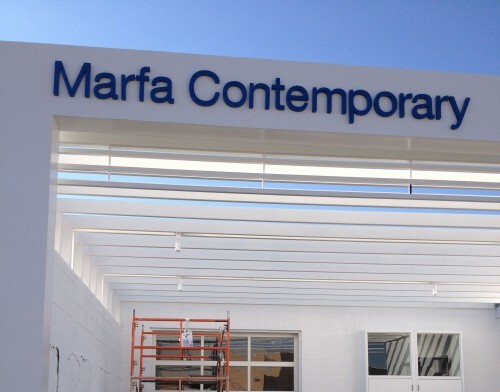 Marfa Contemporary, as seen in September 2012. On this episode of West Texas Talk we take a look at the final days for Marfa Contemporary. The art nonprofit – an extension of Oklahoma Contemporary – is closing after nearly 5 years in West Texas. In that time the art nonprofit has featured artists throughout the world. Ahead of Marfa Contemporary’s final exhibit we speak with the contemporary’s director Kate Green and artist Autumn Knight, who will be performing a final piece during an event on Saturday 13, 2018. This entry was posted in and tagged Autumn Knight, Grand Opening Grand Closing, Marfa Contemporary. Bookmark the permalink.